It’s been the most persistent rumour in West Hampstead since I’ve been running this website… Pizza Express is closing and Marks & Spencer is moving in. It had such traction that I wrote to Pizza Express a few years ago to see if it was closing down. I was reassured that this was one of its more profitable branches and no closure was imminent. 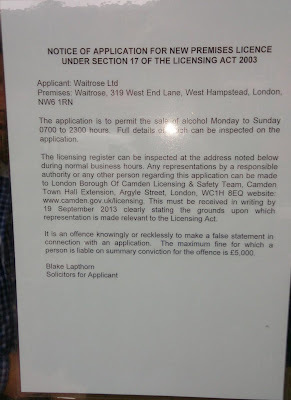 There is a small sign up next to the door that announces in a rather oblique way that Waitrose, not Marks & Spencer, is applying for an alcohol licence. The licence application can’t yet be viewed online. According to a local resident, James Leslie, the staff at Pizza Express have confirmed that Waitrose will be taking over the premises in the next three to six months. Surveyors have also apparently put a mirophone on the roof to measure the current sound levels. Could this be in advance of planning nighttime deliveries? The application signs were also on nearby lamp posts and railings yesterday, but were removed last night. This would give us four metro-format supermarkets, with another one set to open in West Hampstead Square. 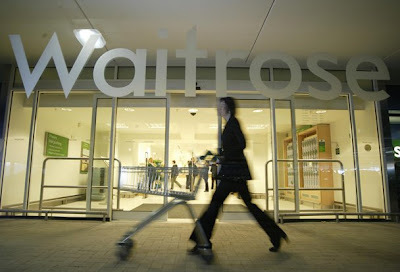 Ballymore had namedropped Waitrose, as well as Marks & Spencer, and the less well-known “grocer to the royals” Partridges. M&S would now seem to be the prime candidate for that location. 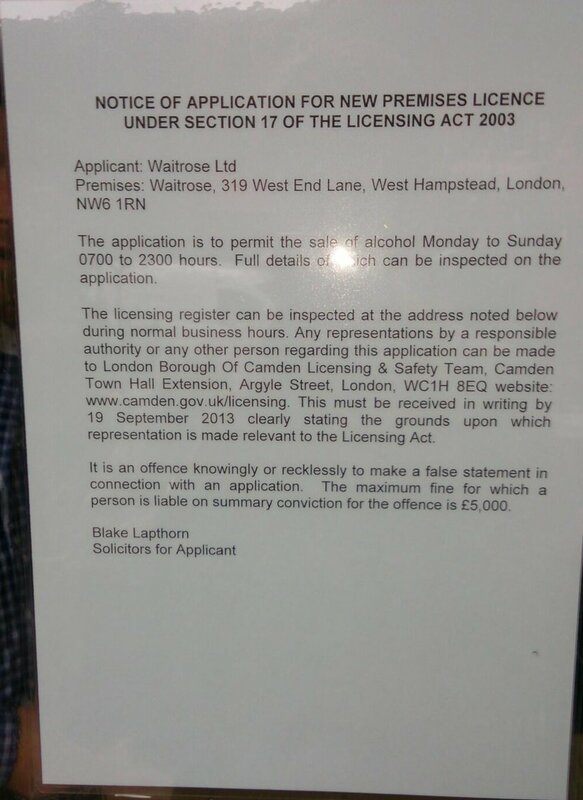 @WHampstead Great news. My quality of life has just gone up a notch. @WHampstead there go my savings. @WHampstead Best. News. All. Week. @WHampstead Yay, fingers and toes crossed! Tom’s entertained by antipasti What have I missed since August 19th?